I had three couples coming to my house for a dinner party, but no idea what I was going to serve. It’s 2014, meaning this was not going to be your mother’s dinner party. It had to be a kosher meal that accommodated a vegetarian, a gluten-free person, and some meat lovers. What a challenge to please everyones’ palate. I pored through cookbooks, recipes I’ve torn out of newspapers and magazines, and the internet. I was determined to make everyone happy and try some new recipes. Then, as if by magic, something caught my eye on a high shelf in my kitchen – those margarita glasses from my wedding registry. We thought we would have many festive parties and use them all the time. I have never used them in the twenty years I’ve been married. So much for that idea. Shockingly, life has not been one big party. 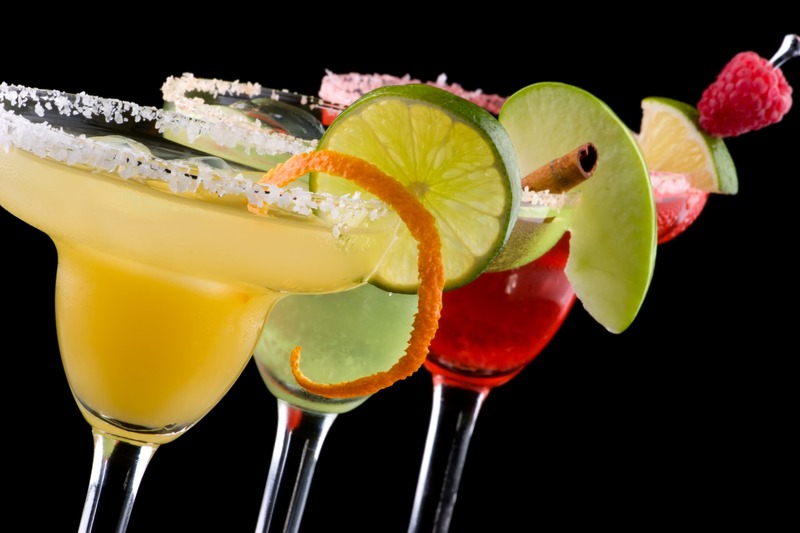 I had found the idea to build my dinner party around – margaritas! Who cared that it was cold outside? Festivities are called for year-round. Did someone say Jello? I totally want to be invited to that dinner party! I can now scratch that off my list. As my husband and I were cleaning up, enjoying the afterglow and buzz of the party, we were deciding whether to wash the glasses by hand or put them in the dishwasher. “Why not put them in the dishwasher? If they break, I don’t think we’d miss them,” he said. Nope, I couldn’t risk it so I hand-washed them. It was a delightful evening – God willing, there will definitely be more parties in my future. Who knows what other inspiring treasures I’ll find in my house? Maybe next we’ll have a slumber party and I can finally use those breakfast-in-bed trays. This entry was posted in Family and tagged cooking, entertaining, hospitality, margaritas, vegetarian recipes, wedding gifts. Bookmark the permalink. Believe it or not I was just thinking about those margarita glasses. This weekend I mentally put them on my purge list, my effort to downsize my life. In the almost 25 years of my marriage I haven’t used them once. They sit on a shelf with another wedding gift, seven beautiful crystal wine glasses…seven – just not enough for a dinner party. Now I know what to do with my glassware – give them to you so you can use them as an inspiration for your next party. And you don’t even have to invite me! This is great! I still have the little stickers on the bottom of some of my wedding presents that accompanied the gift registry book with the matching number and details about who it was from. The registry book is long gone but a few of the numbers have hung on (even through washing!). Every time I see one, I am reminded about those long ago bridal traditions. For your friend with the punch bowl and jello molds — my Mom (a 1942 bride) used to make punch for parties and would freeze water in her jello mold beforehand to make one big ice cube to keep the punch chilled. I think she also sometimes added fruit before she froze it. Not sure how to work in the waffle iron. Gotta go — feeling too June Cleaver-ish here!